Until recently, unless you were a Montessori teacher with an AMI training for birth to 3, you would probably never have heard of the topponcino. When I had my first child, I had no clue what it was. Even after I had my second, 7 years ago, it was still not that popular and that easy to find. Since Montessori is more visible on social media, you can now see the topponcino all over Instagram! So, what is the topponcino? 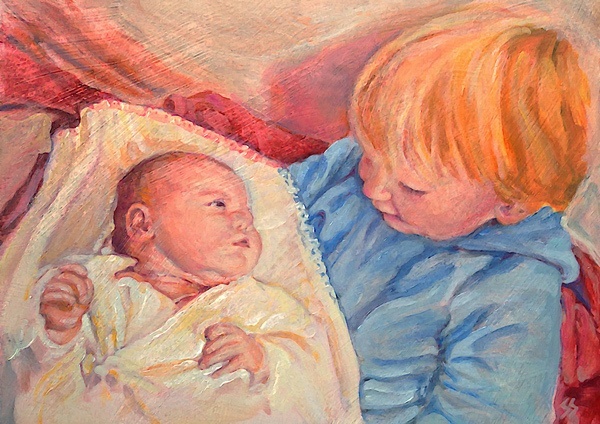 “Topponcino” ("little pillow" in Italian) that is used to hold, carry, and comfort a child from the first day of life. It provides comfort and security and has been part of Montessori Assistants to Infancy (A to I, birth to three year) program since its inception in Rome, Italy in 1949. Peinture by Susan from the Michael Olaf website and newsletter. It helps grand-parents and sibling to hold the baby safely. Parents reported that it was their other children and elderly relatives who benefited the most from using the pillow. 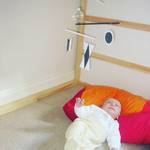 It’s the perfect first movement mat that your baby can enjoy awake to observe the world around. However, some parents who enjoy baby wearing didn’t see the point of the Topponcino. They preferred carrying the baby in the sling than leaving the baby on the pillow. Where to buy the Topponcino? The Topponcino company has been set up in 2018 to provide the topponcino to families around the world. Handcrafted of 100% natural cotton. Our authentic topponcinos are hand-crafted to the standards laid out by the official Montessori Assistance to Infancy course. Covers are made of a finely brushed, French cotton twill which creates a rare blend of softness and durability. This unique fabric is soft as a cozy sweater, but still tightly woven to reduce potential “leak throughs”. Inserts are made of multiple layers of USA manufactured cotton batting encased in premium cotton muslin. 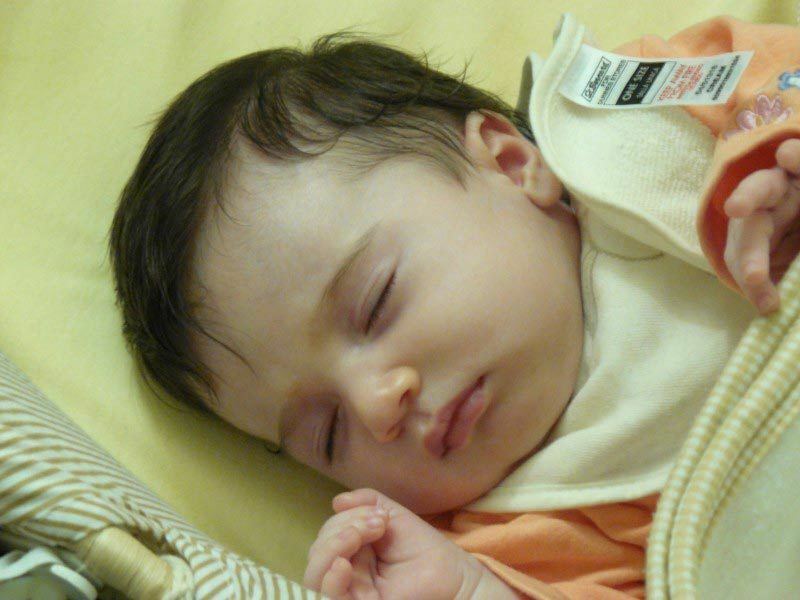 The layered construction was specifically designed to trap heat, as well as your family’s smells, so your baby will feel comfortable in any environment. The company sells the topponcino in various colours as well as the washable covers. They deliver worldwide. Many parents and grand-parents made the topponcino for their baby. Here a pattern from Voila Montessori if you want to try. This blog post contains affiliate links at no extra cost for you.